This unique emergency kit is 100% waterproof in this heavy duty, see through container. 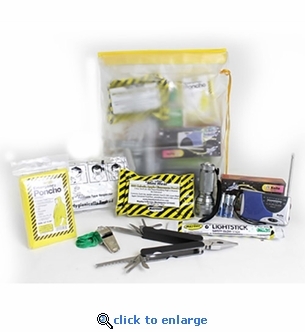 Each kit contains items to help endure a shelter in place or storm emergency situation. This emergency kit is ideal for boating, camping and travel. 1 - Dry Pac 9" x 12" Waterproof Container - It Floats! !